Jeff's job has him traveling a lot more lately. He spent a few weeks in Palisades, a couple of trips to Green Springs/Medford, and Denver. For me the best thing to do while he is gone, is to stay busy! 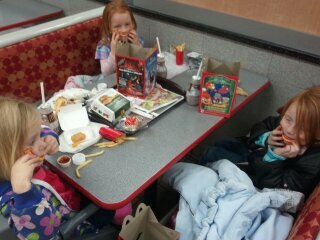 It is hard getting babysitters in place with my work schedule. One night I had 3 different babysitters taking different shifts. But I am grateful to have a job that allows me to be home most of the time. I am also grateful to have family around that can help out. Most of the pictures were taken from my camera phone, so the quality isn't very good. Here are some fun things we did. This was taken way back in October. We grew this big pumpkin in our garden. If you were here you would have understood why removing shirts was a good idea. 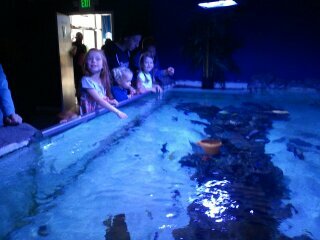 We went to the aquarium. 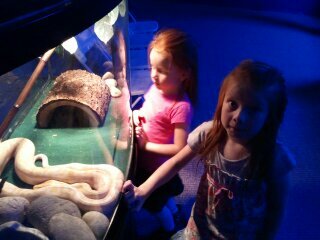 The girls all loved it. 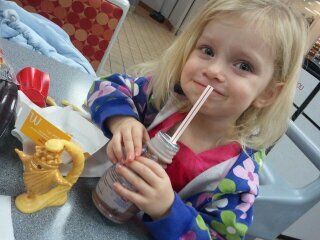 But Joelle really really loved it. It was a small aquarium and she did not want to leave. We went through the exhibit 3 times. 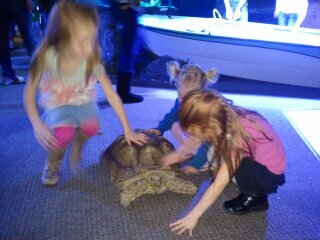 They got to pet the fishes, rays, small sharks and reptiles. 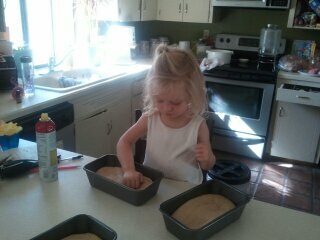 Gabrielle loves to help on bread day. 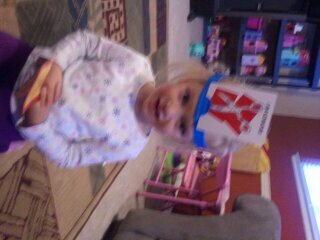 We play a lot of games. 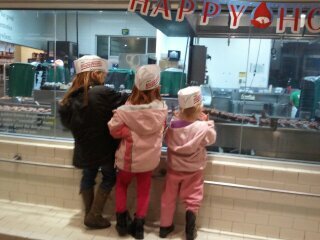 We like to go to Krispy Kreme. We do movie nights. We love eating popcorn while watching a movie. 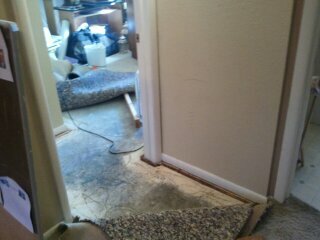 Our laundry room/office/family room flooded three times while Jeff was gone. 3 different times!! 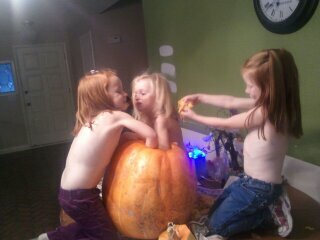 The girls love playing pretend. Here, the girls were pretending to be bats. I don't know what got them started into doing that but I thought it was pretty cute! We love to do craft projects. 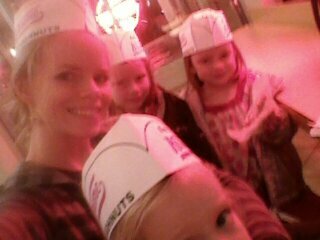 I utilize them as slave labor (how else are we going to pay for the donuts and hamburgers). The girls playing on the zip line while wearing their dress up clothes. It was quite funny to watch. At one point Addie accidentally stripped Joelle's bottom half. It was hillarious, but for obvious reasons, not pictured. Gabrielle was saying "I am not cold mom!" Mean mommy made her put a coat on anyway. We try to have fun and be good when Dad is gone, but we love it when he is home! 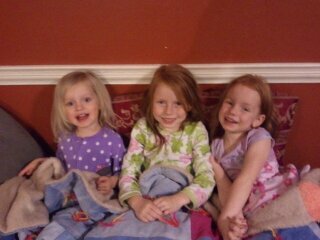 It's hard when dad is gone a lot glad you have 3 cute girls to keep you busy! Looks like you guys have lots of fun!